For those who wish to vaccinate less and decrease the risk of vaccine related diseases, it’s important to understand what vaccines are available for your dog and the risks and benefits of each. What follows is a brief outline of the most common vaccines your vet will advocate and the associated risks and benefits of each one. Hopefully this list will help you decide which vaccines your dog should receive, if any, and which ones you should decline. Distemper is a rare but serious viral disease that dogs are still considered at risk from in many developed countries. It affects all aspects of a dog’s health eventually attacking the central nervous system causing spasm, seizures and paralysis. 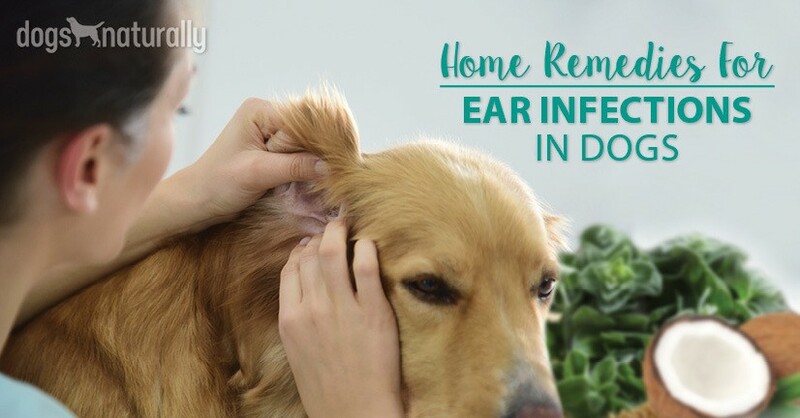 The wide variety of symptoms found under this disease classification is said to be due to the distemper virus’ lowering of the overall immune system which in turn allows for secondary opportunistic infections that produce the diverse clinical symptoms. The virus is thought to be transmitted through the air via infected animal’s breath, although E. H Ruddock DVM states that “all dogs appear to carry the seeds of distemper in their system”. Canine distemper is a serious disease and, when treated conventionally, 50% of dogs with distemper will die. Homeopathic vets see much better results however, thanks to Distemperinum. Due to the vast array of clinical symptoms produced by this disease, an experienced veterinary homeopath should be consulted immediately to determine the most appropriate remedy. “If the disease is noticed in the early stages, use of the potentised virus by itself may achieve spectacular results” (Macleod). Treatment of dogs who have survived distemper but exhibit ongoing symptoms of paralysis and seizure has been found affective and may include the use of such common remedies as Belladonna, Gelsemium, Conium and Causticum. The nosode is generally thought to be the most effective and safe manner of prevention by qualified homeopathic vets. John Saxton MRCV presented research showing the distemper nosode’s ability to reduce an outbreak by around 65% in only five days with a reduction from 11.67% infected to 4.36%. When the entire population of the kennels’ results were analysed, an even higher success rate was reported with a drop from 8.05% to 2.81% (IJVH, Vol.5, 1, 1991). Vaccinated puppies don’t respond as well to treatment as unvaccinated puppies. Due to the seriousness of symptoms produced by this disease in young pups, an experienced veterinary homeopath should be consulted quickly to determine the most appropriate remedy. While awaiting a consultation, Aconite 30C can be given orally every two hours. It is critical to avoid dehydration, and if this is feared, China 6C or 30C may be given every hour in a little filtered water. It may be wise to avoid the unnecessary use of the distemper vaccine until it is proven not to be the cause of parvovirus in young puppies. The nosode is generally thought to be the most effective and safe manner of prevention by homeopathic vets. Due to the comparatively risk free nature of nosodes, they can be given at a very early age in susceptible dogs ie, 10 to 14 days old. “Experience in practice has shown that this Nosode has given consistently good results and no breakdowns have been reported”. (George Macleod) Christopher Day reported a single failure of the nosode in his vast experience in the field with this disease, and even that case, the disease was non fatal and mild. Normally no intervention is necessary, due to the mild symptoms of kennel cough. Although a range of remedies have been successfully employed in the prevention of this condition such as Drosera and Ignatia, the kennel cough nosode has been shown to be very effective and has impressive results, as obtained by DVM Christopher Day in his clinical trials measuring the use of the nosode during a kennel cough outbreak. The results shows minor symptoms were expressed by 42.5% of the dogs, with 59.7% of vaccinated dogs showing minor symptoms, compared to 26.7% of unvaccinated dogs. This study shows that nosodes can be effective in disease prevention, and when dogs do contract disease, the severity of symptoms can be reduced with their use. a fever of 103-104°, shivering, and muscle tenderness are the first signs. Then vomiting and rapid dehydration may develop. Severely infected dogs may develop hypothermia and kidney or liver failure can develop. In subacute infections, the animal usually develops a fever, anorexia, vomiting of bile, dehydration, and increased thirst. Animals with liver involvement may develop jaundice. The dog will also be in pain and be reluctant to move. Dogs that develop kidney or liver involvement may begin to show improvement in organ function after 2 to 3 weeks or they may develop chronic renal failure. This disease is normally quite progressed when symptoms are noticed so it is important that a homeopathic vet is quickly consulted. While awaiting treatment, the following remedies can be selected based on the symptoms or given alternately every 30 minutes for 4 hrs and then every hour while acute symptoms persist: Aconitum N. 12x and Arsenicum A. 30C. (In the event of an emergency any potency can be attempted, although higher potencies should be used with caution. More treatment options are available in this article. Lepto is not pevalent in many regions. The effectiveness of the lepto nosode has been proven in a breakthrough human study. The Cuban government experimented with using nosodes to protect Cuban citizens against leptospirosis in 2007 and found a much greater a rate of effectiveness at a small fraction of the cost of vaccines. They subsequently switched the entire country over to nosodes in place of vaccination by 2010, dosing every Cuban annually. They are now experimenting with homeopathic prevention of other diseases and offering their anti-leptospirosis program to other countries, mostly in Africa. Many of the diseases routinely vaccinated against can be quite serious and pet owners are understandably anxious to avoid them. Homeopathic nosodes, or homeoprophylaxis, has garnered significant results and attention amongst homeopathic vets and do not carry the dangerous risks associated with vaccination.